A Reporter (Dean Stockwell), wanting to end an affair with the Presidents daughter but not wanting to hurt her, has his News Paper reassign him to Budapest, Hungary. While there he is bitten by a Werewolf. The President wants him back in Washington and offers him a job as his Press Assistant. 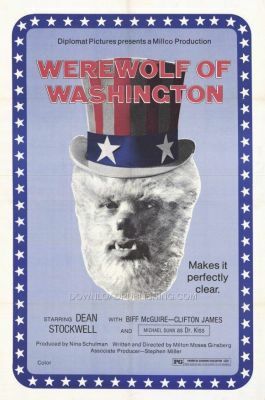 A Werewolf is now loose among the Washington elite.